Streamline Electrics - Electrician based in Bissoe, Cornwall. 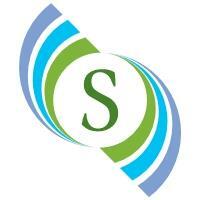 Streamline Electrics is a Locally Established family business working within Truro working throughout Cornwall. We’re a fully certified company using NICEIC as our governing body, this enables us to test and certify our own work. We always work to the highest standards of workmanship, we treat everything we do during an installation as we would expect it to be treated in our own home. We have built up a vast amount of knowledge of various electrical systems used in current installations throughout the domestic and commercial areas. We have now been trading for the last 6 years and I have built up 8 year’s experience working in the trade from working with domestic houses large and small to superyachts, industrial units and commercial premises. As a company we fully support the renewable sector of our profession from solar P.V to air source and ground source heating systems and smart home controls.